Oxford University Chorus presents ‘A German Baroque Christmas’ on Wednesday 28th November 2018. Do join us for what promises to be a fantastic evening of music for Advent and Christmas, including Schütz’s wonderful ‘Weihnachtshistorie’, in the beautiful setting of the University Church of St Mary the Virgin. 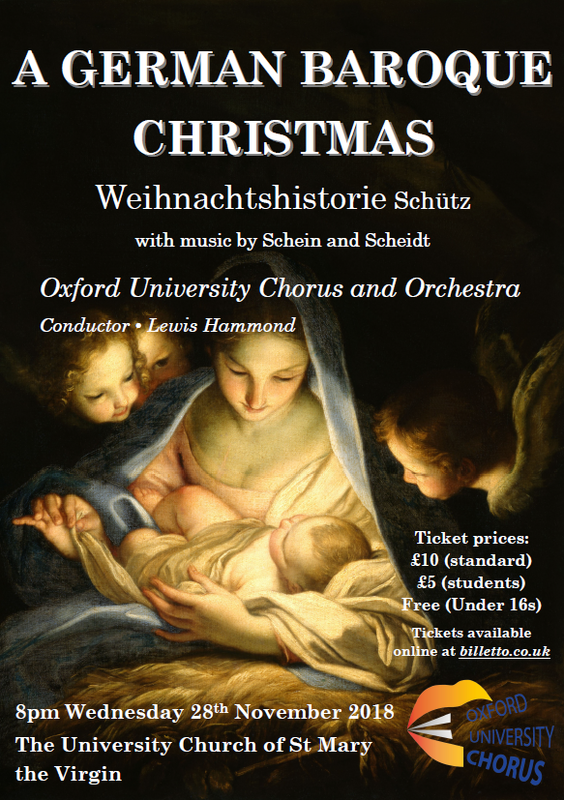 Tickets can be purchased online by following this link: https://billetto.co.uk/e/a-german-baroque-christmas-tickets-314680.